It takes a great team of people to do the work of Collective Resource. As we expand to serve more communities throughout the Chicago area, our staffing needs grow as well. Are you dependable and hard working? Are you willing to learn new things and ideas? Do you believe that small steps can lead to big change? Are you comfortable in an open environment of sharing and helping others? If you’ve answered yes to those questions, Collective Resource might be the place for you. We offer COMPETITIVE WAGES, HEALTH INSURANCE, PAID TIME OFF, HOLIDAY PAY and the opportunity to see your work contribute toward a healthier and more sustainable planet. If you are ready to do meaningful work with a caring team of dedicated individuals, let us know. Most of our employees are on the collection crews. This is an entry-level position. Advancement opportunities exist. Pay: Driver position will start at $13+ per hour (depending on experience). Hours: Get part-time hours immediately and there is a lot of room for more hours. We are looking for drivers who aren't afraid of getting a little dirty and doing physical labor while on a day's work. Container loading onto the truck for the next route. Customer service including picking up & dropping off containers and buckets. Learning what is compostable and leaving pure materials at the compost facility. Recording data in web-based application from your phone. Customer care, container washing, and communication with the office. We want to provide exceptional customer service every time. Driving safely and have at least 2 years of driving experience. Immediately reporting any truck issues. Be responsible and trustworthy with keys and codes. Treating customers and team around you politely and professionally. All driving happens in and around the city of Chicago and Northern suburbs. You will be working with fun, friendly, hard-working people. Your schedule will be dynamic and flexible. This is a low stress and independent job. 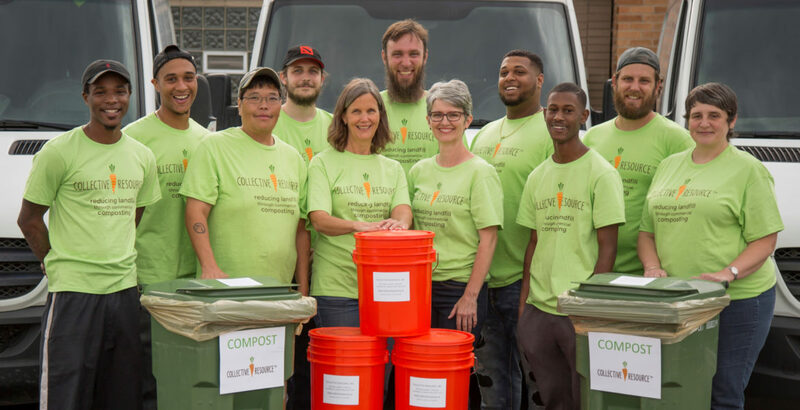 By joining Collective Resource, you will become a part of a company that helps to divert food scraps from the landfill! Do you have a clean driving record (including speeding tickets, etc.)? Do you have any medical conditions that would affect your driving or ability to lift 50 pounds? Would you give Collective Resource permission to do a background check on you? We’ll keep your information on file and review it every time a new position opens up. Thank you for your interest in Collective Resource!